We are big fans of the Little Bird range, which offers a genuine retro alternative on the high street without breaking the bank. 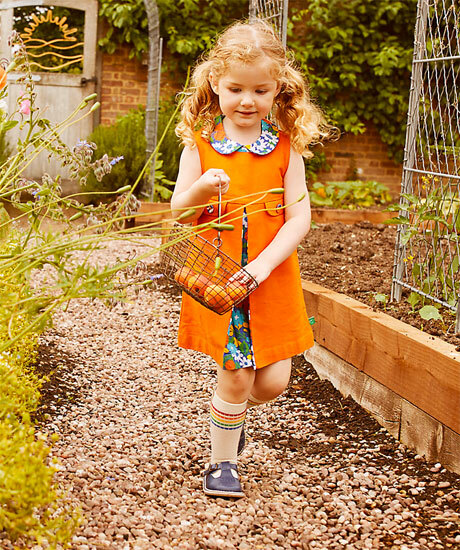 This Little Bird by Jools Orange Collar Dress shows just why we love it so. This is dress right out of the 1970s. At least, in terms of inspiration. 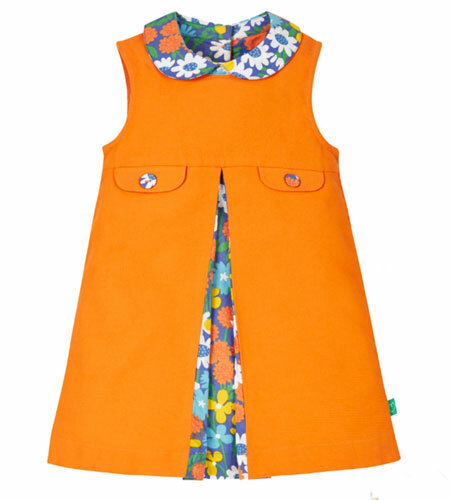 The bold shade of orange, the faux pocket detailing, the cute floral peter pan collar and the similarly-patterned middle pleat! It’s all good. 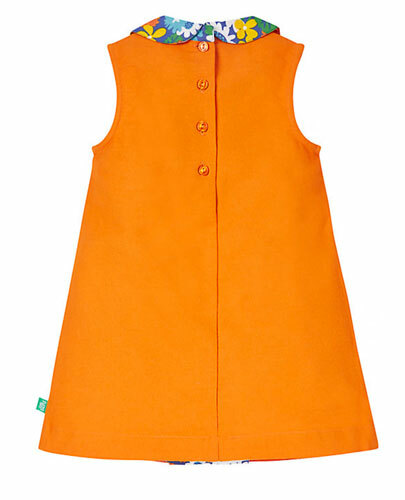 From 18 months to 8 years for the sizing and the price from a reasonable £14.